ActCAD gives top priority to 100% customer satisfaction. We provide best in class technical support through email and online screen sharing sessions (in few situations). We address all the technical queries normally withing 24 hours except Holidays. In some cases, we may not be able to provide immediate solution for the problems reported by our users. There could be some inadvertent bugs missing our Quality Assurance Test Processes. In such situations it may take us long time for us to investigate and fix those bugs. Normally they will be fixed in next patch release. Every month we release 2 to 3 patches on our latest released versions. We value the time and money of our Customers. No obligation ActCAD Trial Versions are available from our website, and we provide free technical support during the trial period. In some situations we can even extend the trial periods to get 100% confidence on our products. ActCAD can be fully tested on your work environments before buying. However, we offer unconditional 30 day money back from the date of purchase in case if you are not satisfied with the product or our service. 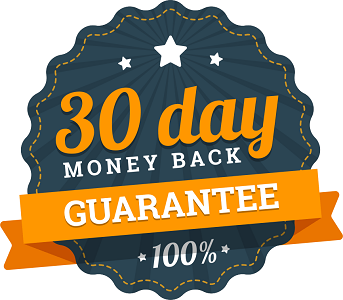 No Questions Asked & 100% money back within 30 days of purchase..This is another assurance from our end to boost your confidence on our solutions.